The plastic molded seat shell and beech wood barstools from Ooland offer a new twist on a classic of modern barstool design that offer a nod to the old modern with a current and fresh design reimagining. 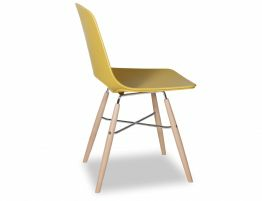 Taking an iconic mid-century modern design as a starting point, Enrique Marti Associates created this inspired classic yellow bar stool design perfect for your home counter stool or bench seat dining or commercial bar stool purposes. 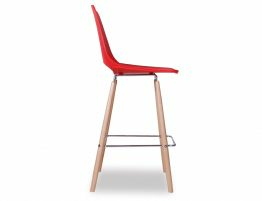 Two sizes, 68cm kitchen bench height and a 77cm commercial bar height, allow you to choose the right size for your purposes. 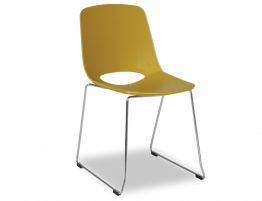 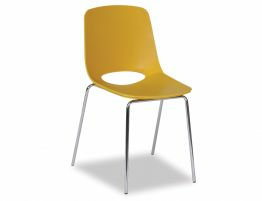 The fresh and on-trend mustard yellow modern barstool offers attractive, contemporary seating for your spaces. 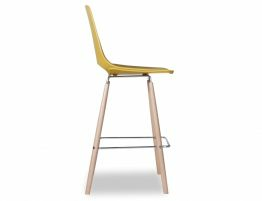 This mustard yellow barstool offers a smooth polymer seat and natural beechwood tapered legs braced by a chromed steel framing and footrest. 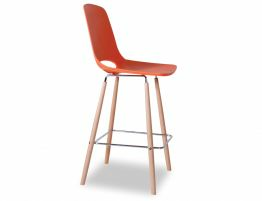 This barstool looks great at your kitchen island, providing a comfortable seat for your casual gatherings.